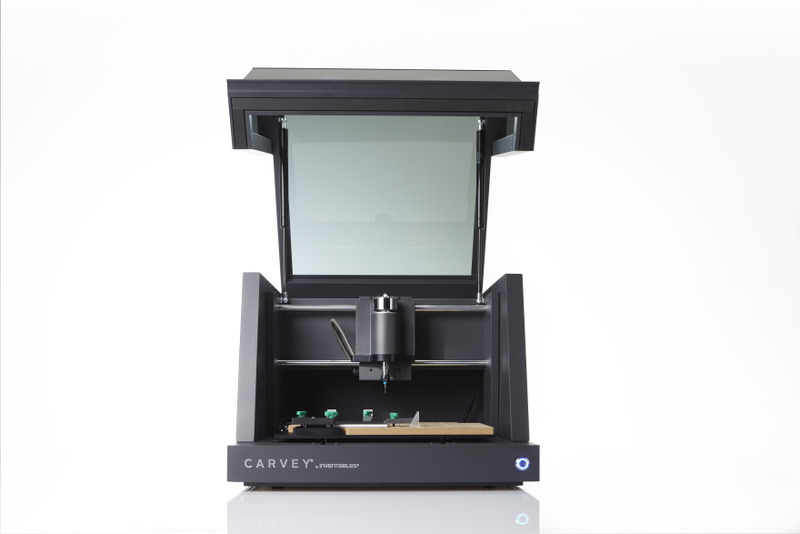 Carvey is a remarkably easy to use, tabletop 3D carving machine for makers and design professionals of all levels - from artists and teachers to architects and engineers. 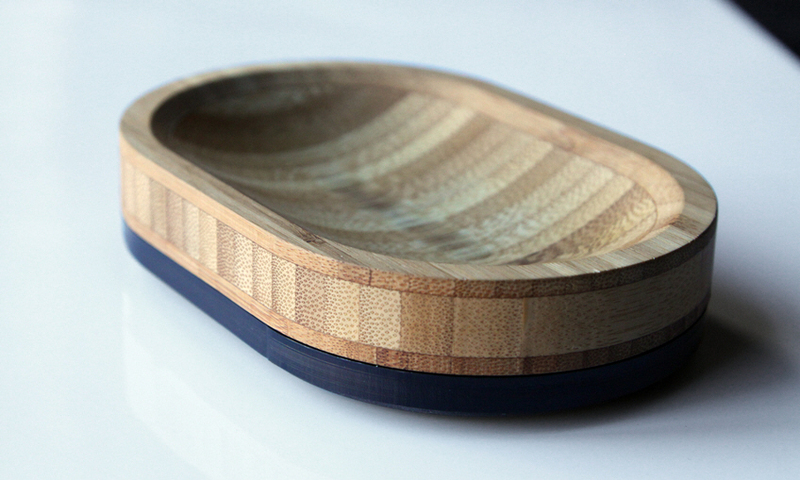 Its beautiful, clean, understated aesthetic was designed to be something that you would want to put on your desk. 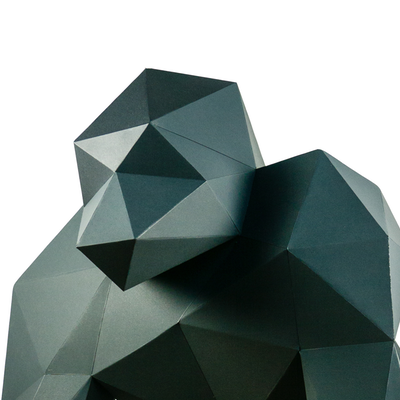 Carvey is the next step in 3D manufacturing, giving the user the power of making ideas into real objects, right from their desktop. 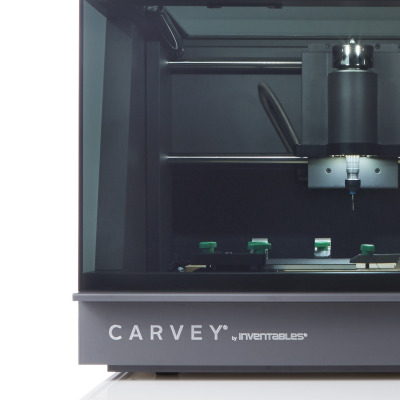 Carvey is a new 3D technology known as a 3D carver. It's the opposite of a 3D printer; not in concept but in the technical sense, as the user is "carving" away at their creation rather than building it up (subtractive rather than additive). Industrial versions of this type of digital manufacturing tool are typically complex, loud, an. 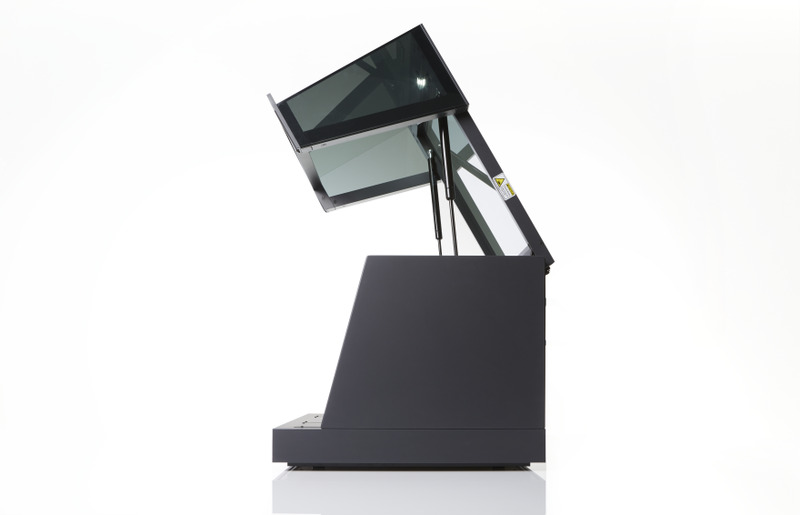 We wanted to design a fully enclosed desktop-sized, quiet, clean and affordable machine, allowing the technology to live in the office or design studio, as opposed to the shop, garage or model making area. Preventing noise and debris from getting into your workspace meant that Carvey needed to be entirely enclosed. This enclosed design then needed to open up in a way that gave great access and visibility into the cutting bed. The unique four-sided door was crucial to solving this issue. When designing the hardware for Carvey, we considered the overall user experience. 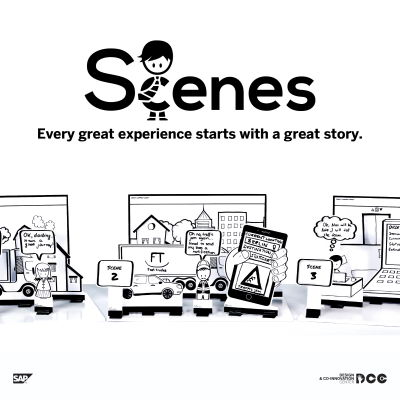 We set out to make the process of 'making' easier and more inspiring. Since Carvey was created with everyone from artists and teachers, DIY 'makers', design professionals and engineers in mind, we wanted to design a machine that was entirely functional, with a beautiful, clean, understated aesthetic that you'd be proud to put on a desktop. 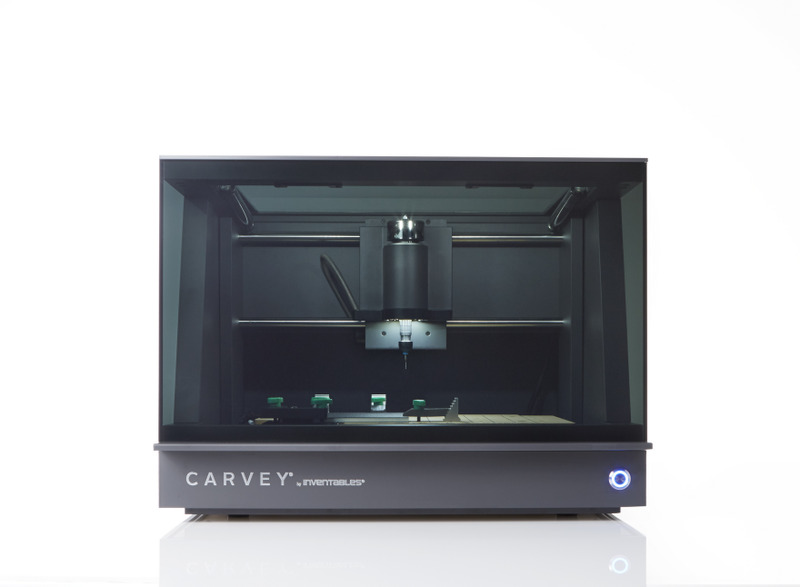 Carvey is the first truly consumer level machine of its kind and easy enough for the average person to use. · Carvey's form was inspired by the pure proportions and rectilinear forms of high-end audio components. The exterior hints at the quality and precision within. · The core architecture is an extruded premium aluminum frame with precision miter cut corners and smoked polycarbonate windows. · A unique four-sided door opens vertically, clearing critical desk space and allowing unobstructed access to the carving area inside. · The large wraparound window maximizes visibility and lets the user watch their creation evolve from start to finish and from almost any angle. · A skylight on the top of the door lets in natural light and gives you a bird's eye view of the action. · LED lighting inside in two locations—the spindle light highlights the carving action and "house" lights that are built into the door and illuminate the carving bed. · The spindle light highlights the area being carved so you can watch your design being made. It also helps your camera focus and expose correctly so you can take photos of the creation process and share them with friends or on social media. · A color-coded clamping system was designed to hold materials securely and easily in place. · A color-coded bit system makes sure you're always using the right bit for the job. · Carvey has automatic homing and depth-finding capabilities. 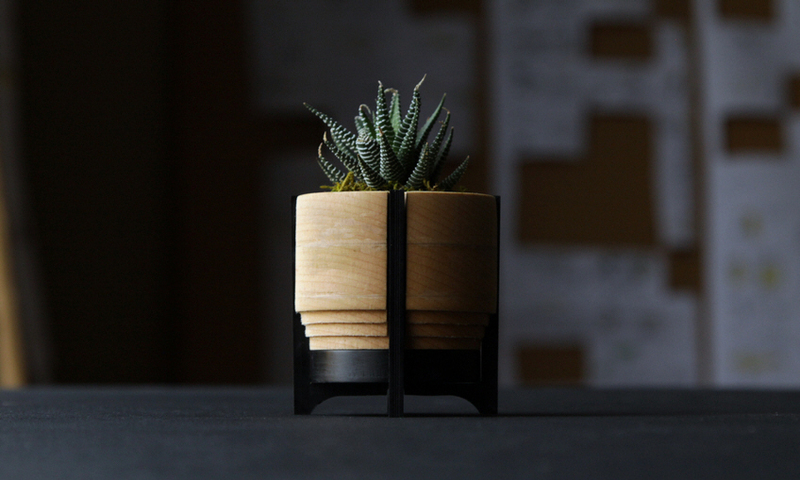 · Unlike most 3D printers, Carvey can create smaller objects like sunglasses, jewelry, small signage, etc. using a wide range of real materials including wood, soft metals like aluminum, Corian, as well as a wide range of plastics. 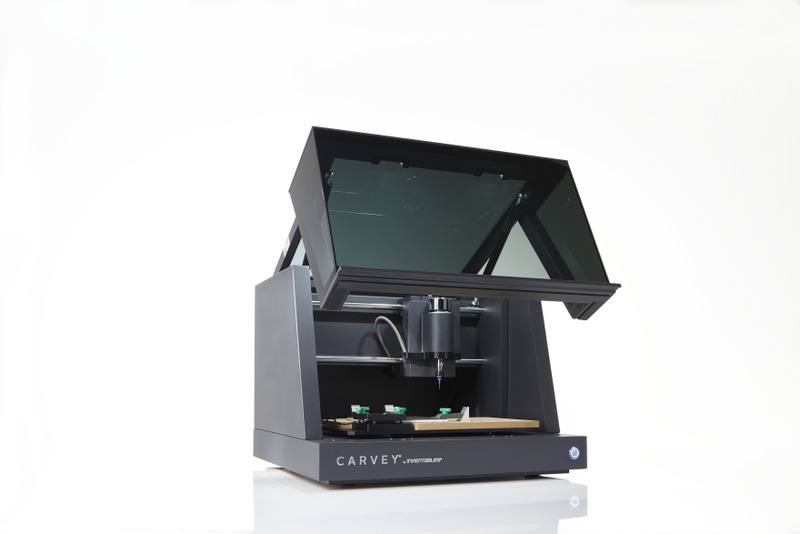 · Carvey runs seamlessly with Inventable's free Easel software, as well as with other carving software. In order to make the 3D carving experience easy, we needed to break down the software barriers associated with DIY CNC machines, so that anyone, including people with no technical knowledge of CNC, programing tool paths or machining technique, could easily create their idea. The tight integration with Inventables free Easel software takes care of the technical aspects of carving and allows you to focus on what's important, creating your vision. Carvey's hardware and software integration is unique in the maker industry and its intuitive web-based interface makes it easy to go from idea to real parts without previous CAD experience. Advanced users can import their own tool paths for even more control. 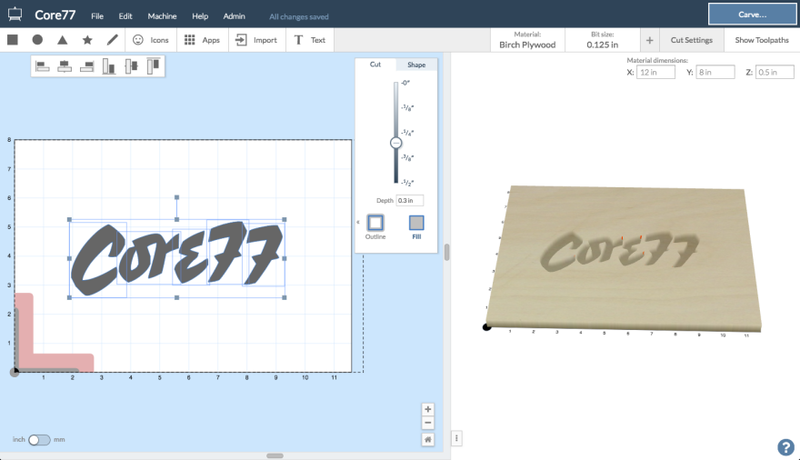 Carvey's price and ease of use gives it broad appeal and accessibility. Compared to other commercial or industrial CNC machines and much like the product itself, Carvey's price is also accessible at an affordable $2,000USD. 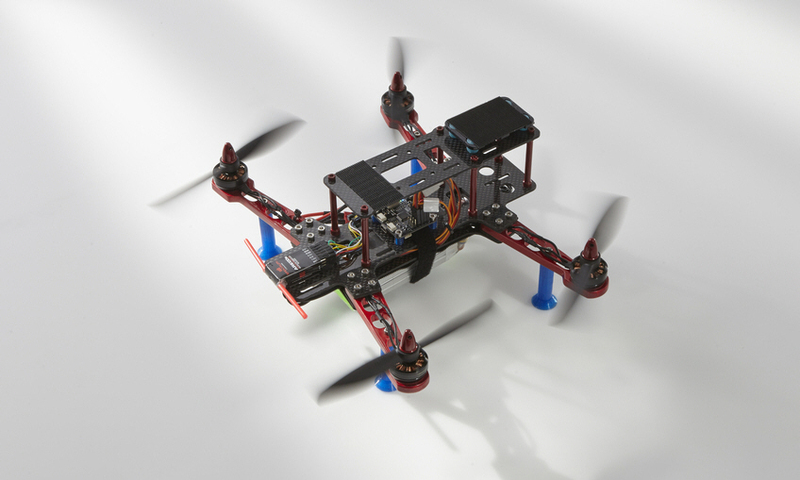 Inventables is on a mission to put a 3D carver in every school by the end of the decade. To kickstart the project we committed to President Obama and the White House to donate a 3D carver to a school in every state. In early 2016 we announced the winners. Our donation of the first 50 got the ball rolling but there are over 98,000 schools in the United States so we have a lot of work to do. 3D literacy is an emerging field and new resources, tools, and technologies are at the very early stages of being accessible to students. In some schools budgets have not been planned for 3D carving or Maker Labs or the budgets are too small to make a meaningful impact. With this program you can sign up to do a mini crowd funding to help your school get a 3D carving machine for free. 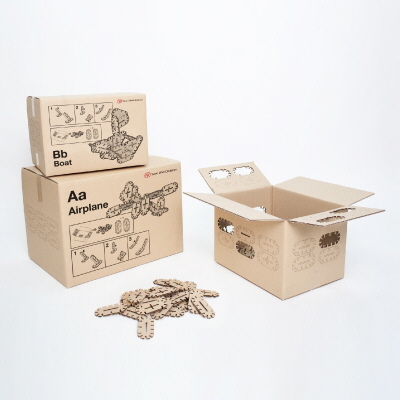 The judges thought this was an incredibly well designed product with really exciting potential outcomes. The design of the actual machine we all felt is incredibly successful not just because it is beautiful but we felt it actually would attract a wider audience, potentially even a more diverse audience because of the sleek and desirable aesthetic.